Apparently that sly ambivalent humor carries over into much of Shalit’s oeuvre, since the Moving Image Archive recently discovered Shalit in some of the film and video materials we’d received from the Agency for Instructional Television (AIT). In a previous series of blog posts about the AIT collection, I explained some of the history of these materials and the many moving image formats that have been processed as part of a digitization initiative. 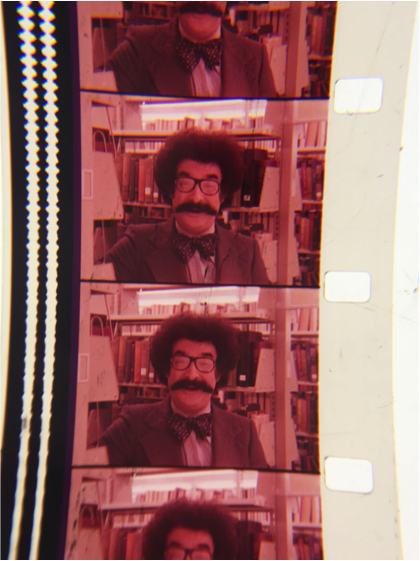 Recently, a graduate student at Simmons College read these blog posts and alerted us to a collection of AIT 16mm films which were part of a television station’s collection in Vermont which were sent to us to join to the rest of the AIT materials held here. During the processing and inspection of these materials one day, I happened to notice a familiar face in one of the 16mm frames. But that wasn’t the only detail that looked familiar! Most of AIT’s film collection was transferred to various video formats, which were what the Moving Image Archive received three years ago and were then digitized at Memnon’s digitization facilities over the last two years as part of the Media Digitization and Preservation Initiative. Therefore, we were able to watch an already digitized version of “About Trade-Offs,” in which Shalit praises the curriculum design of AIT’s educational programming on economics. 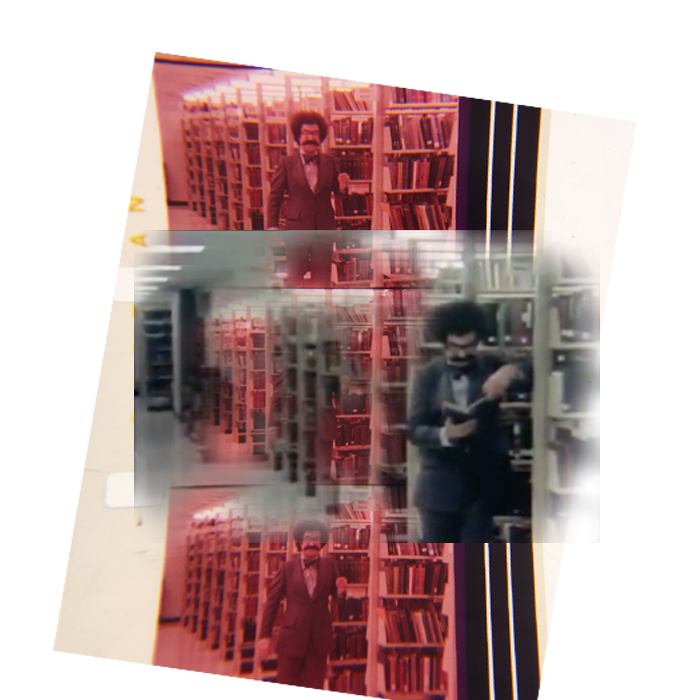 Upon reviewing the clip above, the rest of the Moving Image Archive team believed that those library stacks sure did look an awful lot like the ones at the Wells Library here at Indiana University, which is where our archival work space is located. On the surface it made sense that such a scene could have been shot here, since AIT was based in Bloomington and worked in cooperation with the University audio-visual services. So, we went to investigate. But even after these initial comparisons no one was able to confirm for sure whether the great movie critic had in fact visited IU. Fortunately, IU’s Bicentennial Archivist Kristin Leaman came to the rescue. Kristin directed our search to a University Archives reference file on Indiana University visitors. The Moving Image Archive staff were able to narrow down the year based on the film’s production and information on the edge of the film print to 1977 and, sure enough, the very first item in the folder for that year was an article in the Daily Herald-Telephone, (what is now the Herald-Times), covering Shalit’s visit to IU and his time spent on an AIT shoot in the Wells library! 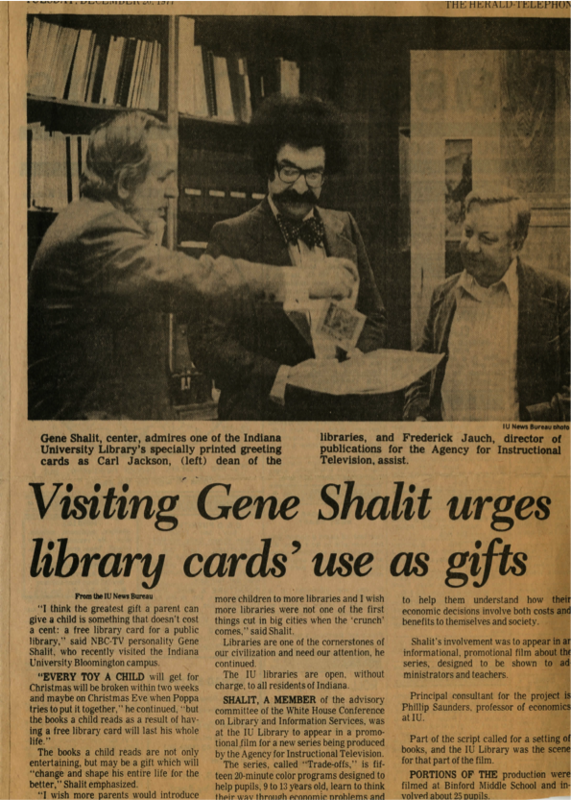 The article not only discusses Shalit’s visit and the use of the IU Library to shoot the scene from the film, but also has Shalit pictured with then dean of the libraries Carl Jackson and Frederick Jauch, director of publications for AIT. The mystery was solved, though new questions arise. What were the circumstances of Shalit’s visit? Did he have any prior relationship with Indiana University? And what of the actual content of his segment of the program? 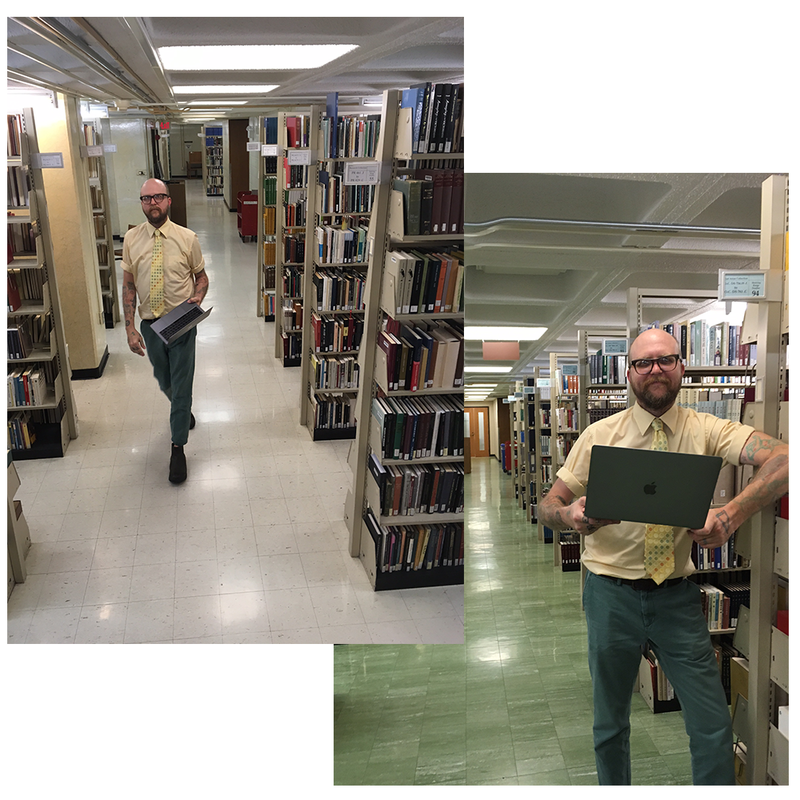 “But now, unfortunately,” Shalit says at point, “many of these books are collecting dust.” Is this to imply that presence of books in libraries was believed to be obsolete?—as early as 1977? It’s clear from the article above that Shalit was a proponent of libraries, but what sort of library of the future was being imagined by AIT and its proponents? Our initial curiosity with Shalit and the transplantation of his “Critic’s Corner” into the Wells Library raises these and perhaps many more questions about the history of educational moving image materials, libraries, and their evolution over the past half century. What questions does our little scavenger hunt raise for you? We hope that researchers find similar threads to begin their search for answers about these peculiar pasts as they reemerge in the collections at the Indiana University Libraries Moving Image Archive. Previous Previous post: There will be a Test – Just Joking! Join us for Social Guidance Sunday’s “Send in the Class Clowns”!